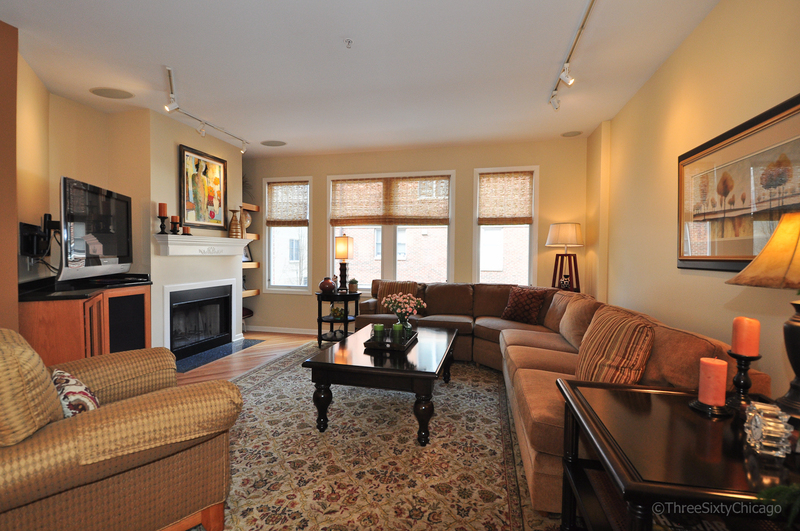 1504 S. State, a beautiful South Loop single family home, is looking for a new owner to enjoy lots of wonderful memories. The home has many suburban conveniences, set in an urban setting. The South Loop is located south of the loop in Chicago and is walking distance to the lake, museums, restaurants, nightlife, CTA, and expressways. This home offers three bedrooms and three full baths, along with family room, finished basement, and three spaces for outdoor entertaining. The kitchen has stainless steel appliances, eat-in area and an open concept floorplan, opening into the living and dining room. Off of the kitchen is a balcony, which is handy for grilling your next outdoor meal. The living room has built-in media cabinetry, surround sound speakers, and a wood burning fireplace. 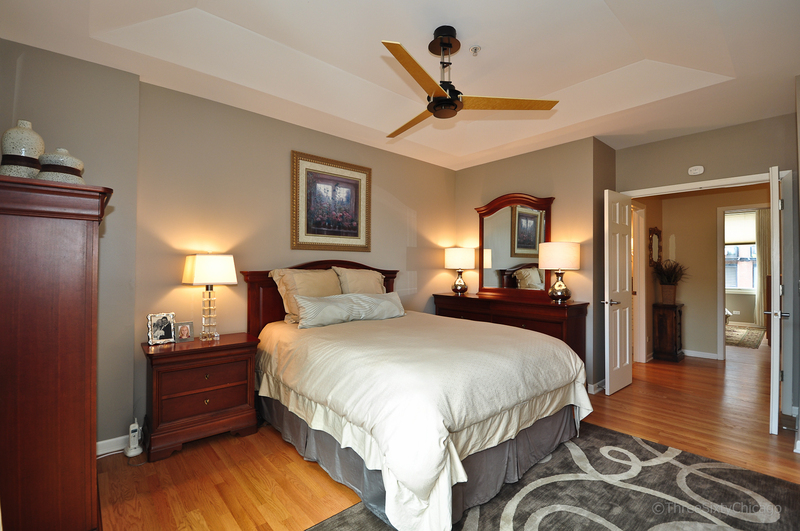 The double door entrance to the master suite, provides a welcoming surprise. The master bath has been completely remodeled and includes beautiful marble finishes, double sink vanity, and plenty of storage. 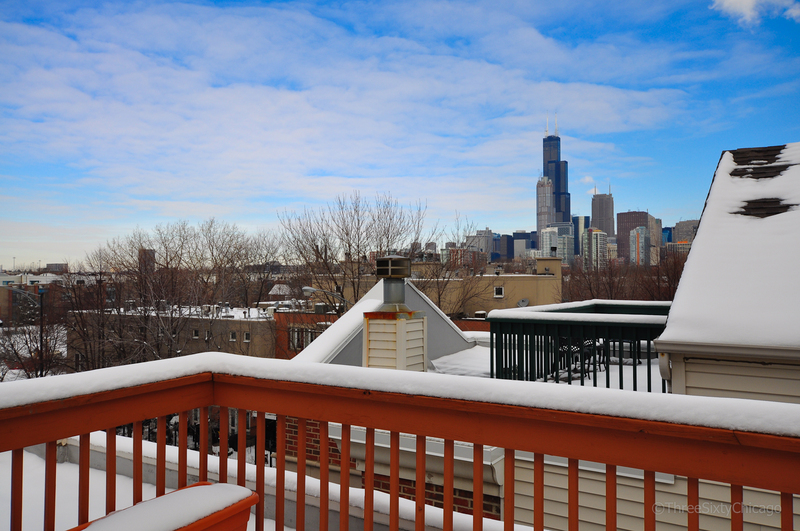 The private rooftop deck above the bedroom level, provides a great escape to enjoy the outdoors and take in the view of the Chicago skyline. A sink and dorm sized refrigerator, installed in a dog house right at that level, assures no need to travel to the kitchen for refreshments. 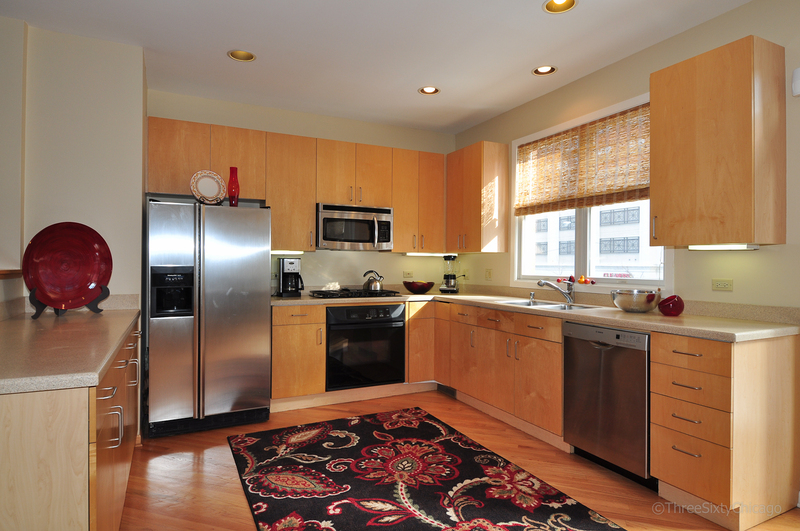 The home has hardwood flooring throughout, exposures on all 4 sides and is a bright and cheerful place to live. 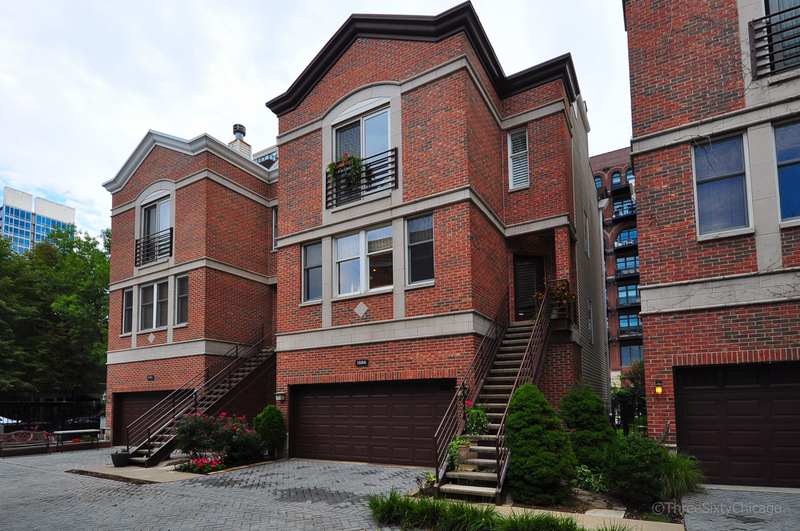 Located in a gated community within the South Loop School district boundaries, this home is ideal for the next urban dweller.